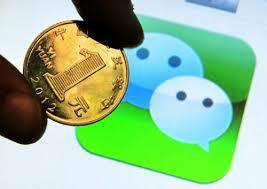 With nearly 400 million registered users across China; WeChat has become one of the most popular mobile apps. The app has acquired this success offering many advantages to users being a mobile news reading platform, a blogging platform to even mobile e commerce site. Readymade customer base: The app found a huge fanfare with 200 million users within just six months of its launch. The app was successful in luring majority of the customers of Tencent’s messaging platform QQ, another popular messaging platform in China that boasts of 800 million active users today. Voicemail: To make WeChat user-friendly and to bring it closer to all age groups of people Voice Mailing feature was added. This bought more users into its fold, as it was easy to voice mail on the go, than texting, and also those unable to text, like the older generation found this feature extremely useful! Privacy: A major concern with modern digital equipments and tools is security, WeChat team understood this early and better. Earlier, discussions, and posts on similar platforms like Weibo were public and open inviting the wrath and censorship from government. 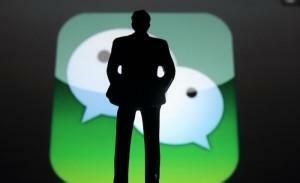 WeChat, therefore made privacy a high priority, branding itself as a Private messaging alternative to existing social platforms. Platform to Socialize: WeChat bought a revolutionary concept of socializing with its special feature called Look-Around, making it possible to meet-up locals within a radius of 4 kms. The immense curiosity of people to meet, socialize has contributed to the growing success of this app. unfortunately, owing to its mis-use by majority of the people, WeChat launched ThunderStrike operation, part of Government initiative, to close such 20 million accounts. 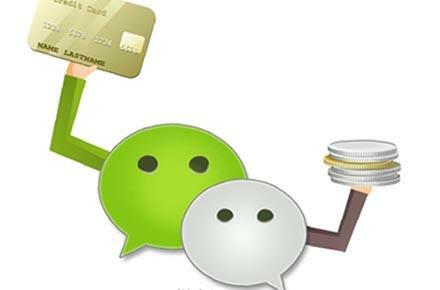 New Exciting features: WeChat efforts to attract more customers led it to introduce new and exciting features, some on the lines of its western counterparts such as Facebook, Google Circle etc. A feature to share limited photos with friends was introduced, offering an easy and convenient way to share happy moments, but also ensured safety and security. Later in May of 2012, Video calling was introduced much to the respite of frustrated Skype users. Creative Advertising: Though, Tencent had no intentions of making WeChat, a commercial platform for advertisement revenues, the introduction of API’s in 2013. Still, WeChat was not confined to being a space on hoarding to advertise, it was more about connecting with its huge customer base, leaving a lasting impression about brands. Many companies such as Lifebuoy, Starbucks have successfully understood WeChat’s concept and have been able to leverage the huge customer base. Innovating and Exciting Games: Innovation, Excitement, and creativity have been at the forefront of WeChat’s strategies, both in development and penetration into the market. Games, was an area where innovation, and creativity was used to the hilt. These games became so addictive to users, that apart from purchasing stickers, downloading animated emoticons’ etc, it also obstructed productive work hours at offices, and companies had to ban most of these games! In addition, to help its entry into the e-commerce market in China, the Tencent group has added e-commerce related features such as the ability to pay by the use of a simple scan of QR codes which makes it much easier for Chinese customers to shop. Apart from these many other features were added to take it more close to the users, new and existing, features such as payment integration, social CRM have been added. With all those recently added features, there is little doubt that Tencent is eyeing at the e-commerce market and trying to figure out ways of overthrowing the big players in both the local and foreign markets. How can you successful in e-commerce in China?